The man who, as a slave in Guyana, would be renamed ‘Inverness’ was sold on 18th July 1803 by William Mackenzie & Co of Cumingburg, Demerara. Mackenzie, with his partner John Macleod, acted as agents for the slave trader George Baillie. 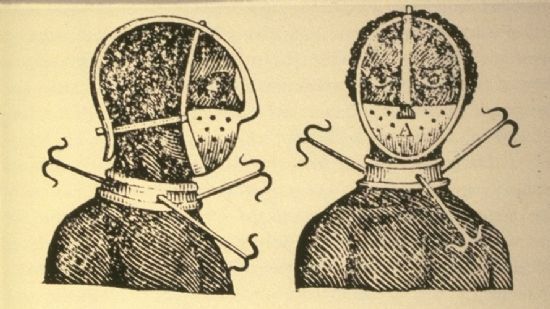 Recaptured runaways, like Inverness, were often forced to wear iron collars with hooked spikes, which made further escapes difficult.